There is a town in the mountains not far from here where people lock their pianos on the night of the full moon. It makes no difference – the keys move up and down and the air is filled with wild music. Someone once thought they saw a white bird flying between the trees. But the truth of the matter is that it’s not a bird that flies on the night of the full moon but a pair of white gloves. I know this because they used to belong to me. KidGlovz is a child prodigy. He can play the piano better than anybody – even playing different symphonies with each hand. And he loves to play. Music is his life. But when he’s not playing, he is kept under lock and key by his cruel guardian, Dr Spin, who tells the world the boy is his nephew. KidGlovz is made to practice endlessly, and is almost starved to prevent him growing bigger. When he meets a young thief called Shoestring, it seems escape might be possible. But at what cost? 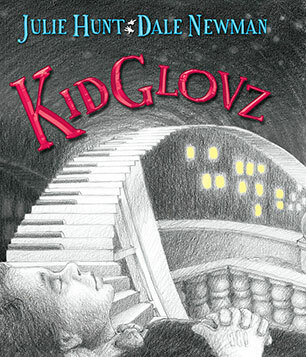 KidGlovz is a haunting graphic novel. In parts uplifting, but often quite dark, readers will be drawn into both the text and the grey-scale illustrations. Spreads are a mixture of comic-style cells, wordless single or multiple image spreads and spreads which are predominantly illustrations with a mix of narration and speech bubbles., as well as a handful of letters and notes. Use of light and dark, layout of text, and movement within illustrations draws the readers eye through the story. Suitable for primary aged through to adult, KidGlovz will appeal to those already familiar with the graphic novel format as well as those perhaps new to it. If you pick up this book expecting an alphabet book to support young children in learning the alphabet you may be briefly confused or disappointed when you realise that, although it is an alphabet book, it isn’t likely to be of use in teaching letter recognition. However, that doesn’t mean this is not an educational tool, and it is certainly likely to enlighten readers. Australia to Z challenges readers to explore what it means to be Australian. Each letter is used to begin one word or phrase which represents an aspect of Australia’s psyche. From the opening spread – which contrasts the word Aborigine, complete with a lonely figure watching a sailing ship approach the coast, with the phrase Boat People, with a shadowed, crowded boat approaching the same coast – to the final one, presenting the words of the Advance Australia Fair with a series of images which question whether the words of the anthem are relevant or respected, readers are asked to think about what is being shown, and why it has been chosen. This spread follows the completion of the alphabet with Z for Zoo, showing not animals, but people pressed against the bars of a cage (are they staring in, or out?). Some word choices are amusing, or might appeal to readers as being uniquely Australian – T is for Thongs, for example, and L is for Lamington – but for the most part the choices are disquieting – are Pokies and Calories really so important to us? The blend of irony, humour and pathos in both image and word choice provide so much fodder for thought and discussion that it is hard to believe how few words the book has and how deceptively simple the accompanying illustrations are. This clever, thought-provoking look at Australian culture should find a home in every school and university in Australia. Brilliant. It is winter, and no time for travelling, but Neryn must visit, and learn from, the last two Guardians before midsummer. With the roads impassable, and the risk of being seen or captured unthinkable, she travels with Whisper, a bird-like creature who can transport her where she needs to go. First she must seek the White Lady, Guardian of Air, to learn the ancient wisdom of the air. Finding the Lady is only the start of the difficulties she must face. Alban is in turmoil, ruled by the tyrant King Keldec and his cruel wife. Only with a skilled caller to summon the help of the Good Folk can the rebels hope to overthrow him and restore natural order in the land. Once she has the skill, Neryn must keep them hidden until Midsummer. The Caller is the thrilling third and final instalment in the Shadowfell trilogy. Neryn is a brave, though humble heroine, willing to fulfil her role, whatever the cost, but also deeply aware of her shortcomings. Her friends, both human and other, are varied, as are her opponents, many of whom Neryn sees good or redeeming qualities in, even while not always knowing how to harness these. Readers are best advised to read the first two titles,Shadowfell and Raven Flight, for the most satisfying experience, though it would be possible to read this title on its own. A satisfying conclusion to the series. Available from good bookstores or online . Every day when the bus reached his stop, I’d hold my breath, willing him to appear through the front doors. On the days he did, I watched him. He hung out with the sporty guys…Rio and his friends were always laughing. His brown eyes creased up when he smiled, and he looked so unbelievably cute. Kitty has a big crush on a boy who travels on her bus. She’s never spoken to him, but he is surely the cutest guy in the world and she would do almost anything to get to know him. But would that ‘anything’ include turning away from her two best friends? 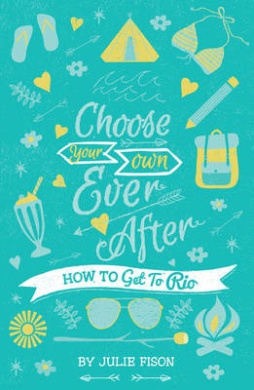 How to Get to Rio , the first a new series, is a tween novel with a difference. Whilst readers follow Kitty’s adventures, they also play an active role in deciding what she should do at key points of the narrative. In a form reminiscent of ‘Choose Your Own Adventure’ stories, readers are asked every few chapters to decide what Mia should do, being directed to a page to continue reading dependent on that choice. The decisions ask readers to consider dilemmas of friendship, loyalty and courage as they put themselves in Kitty’s shoes. Readers in upper primary and lower secondary will enjoy the novelty of the format, the gentle romance and the sense of being involved. My name is Jesse James Jones. Call me Jesse. Don’t call me triple j. I’m not a radio station, I’m an eleven-year-old boy. ‘Mum! Jesse’s talking to himself again!’ yells my sister Beth, from the next room. ‘Jesse.’ Mum’s voice is reproachful, as though I’ve been caught doing something sinful. Fitting in to a new school is rarely easy, and when there’s a school bully with you firmly in his sights, it’s definitely going to be difficult. Lucky for Jesse there’s also a girl called Kate who has curly black hair and a beautiful smile. While Jesse’s helping her to save the whales, he’s also trying to save starving orphans in Africa, and his family from financial ruin. Bleakboy and Hunter Stand out in the Rain is a funny story about standing up for beliefs, friendship and fitting in. Told from the first point viewpoint of Jesse, interspersed with a third person look at Hunter’s perspective, the reader is thus able to see the complexities of the boys’ interaction as well as what is happening in each boy’s life. This adds a depth which a single viewpoint would lack. 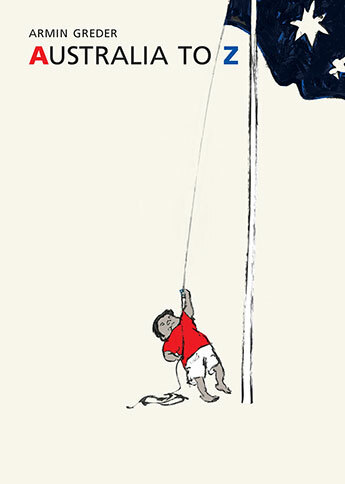 Young readers will enjoy the silliness of scenes including Jesse’s interaction with a poster of Jesus (who he calls Trevor to appease his atheist parents) and Hunter’s ability to find sponsorship for the Save the Whales cause , whilst appreciating the poignancy of the tougher moments of the story. Herrick is a powerful storyteller. Bleakboy and Hunter Stand out in the Rain will not disappoint. You can read an interview with Steven Herrick here. This book is available from good bookstores or online. Darcy Moon has a few problems – the biggest ones being her embarrassing parents, whose funny smells and hairy armpits are stopping her fitting in with the cool crowd.So when the animals at the local swamp start speaking to her, she doesn’t want to know. She can’t help them – and if anyone knows she talks to frogs, she’ll become a laughing stock. But Jumpy the frog and Wizen, the Western Swamp Tortoise, are pretty persistent, and when Darcy realises why the local frogs are disappearing she realises she has to help. Darcy Moon and the Deep-fried Frogs is a fun adventure with an important message about ecology and the environment. Darcy is a gutsy girl who must use her nous to help the animals, and get out of some scrapes, which she does with aplomb. 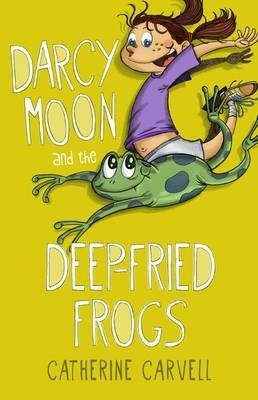 Suitable for primary school aged children, Darcy Moon and the Deep-fried Frogs is a great début novel from West Aussie Catherine Carvell. Ash almost dropped the rock in surprise. Although it looked and felt smooth, like polished marble, the rock radiated warmth. What sort of rock makes heat? he wondered. Ash turned the rock over in his hands. It felt light and rather hollow and was the size and shape of a honeydew melon, with swirls of ebony and violet covering its smooth surface. “Surely something so perfectly formed can’t be a rock?” he murmured. Ash Rover is a poor cowherd, but he dreams of doing something important with his life. One day as he dreams, he is hit on the head by what he first thinks is a rock. When he realises the rock has something magical about it, he takes care of it – but doesn’t realise just what kind of adventures it will lead to. The rock is in cat a phoenix egg and when it hatches, Ash becomes the keeper of the phoenix. Soon Ash and his friends are on a dangerous journey to protect the phoenix and also save his family, and their whole village. he must outwit wily griffins, an evil king who wants immortality and even rogue unicorns. Ash Rover: Keeper of the Phoenix is the first in a new series featuring an intrepid and unlikely hero. 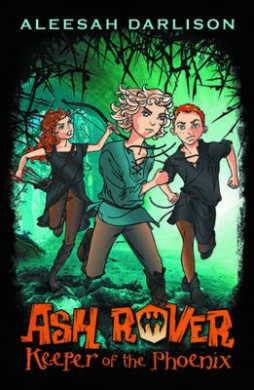 A wonderful blend of action and humour, in a fantasy setting which young readers will enjoy, Ash Rover will appeal to middle and upper primary aged readers, who will look forward to further adventures in the series. So why did we have to shift to Tarrawagga? Ask my parents. It wasn’t my idea, that’s for sure. Our new house was as bad as the Accord. the first time I saw it was the day we moved in….I hated it. Josh is not happy about moving towns. He’s even less happy about starting at a new school. At his last school he was a bit of a leader, and the star of the cricket team. Here, nobody knows him and nobody seems to want to know him. Josh isn’t sure that he cares – he just wants to have his old life back. He decides to lie low and not let on that he’s good at sport, to see what it’s like to not be seen as the sporty kid. In the meantime, something strange is going on in his new street. The house on one side always has police cars parked out the front, and the house on the other side looks empty, but Josh is pretty sure there is someone staying there.There could be more action in Tarrawagga than he expected. 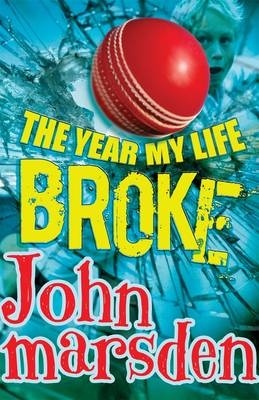 The Year My Life Broke is a funny, action filled tale from John Marsden. Realistic fiction at its best, it combines family changes, sport, suspense and humour in a blend which will keep young readers, sport-mad or otherwise, turning the pages.